L-Pub presents its technology to publishers, students & readers at the Leipzig Book Fair 2017. Interest was overwhelming. Read our synopsis and survey results. 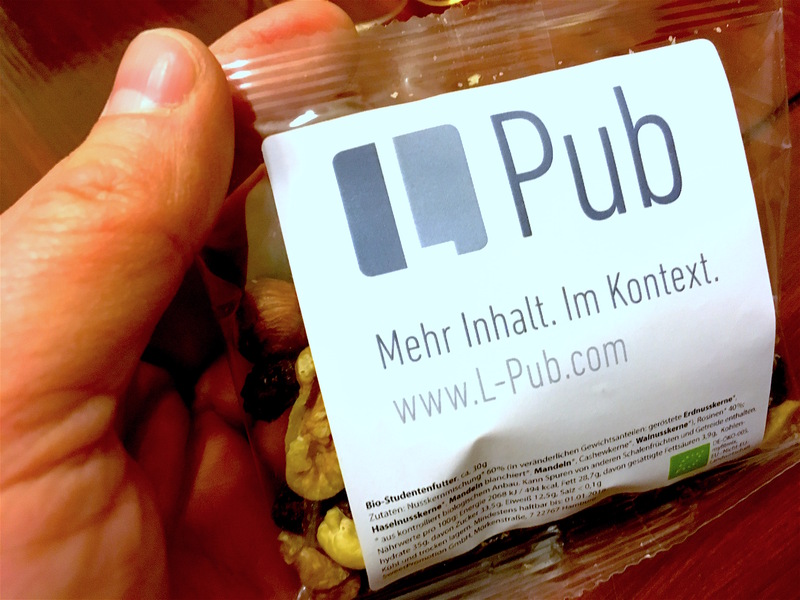 Perhaps the “L” in L-Pub should stand for Leipzig. It was here that we met our first external investor in 2015, Narses Beteiligungsgesellschaft. The 2017 Leipzig Book Fair is also the first time that L-Pub has had a booth at a book fair. The response from publishers of all types and sizes was extraordinarily positive. We also surveyed a wide mix of readers who passed by our mini-booth in the Startup Village Neuland 2.0. After showing them our prototype, an overwhelming 90% said they would like curated, in-context pop-ups in their e-books, too. That is, they want L-Books – and are happy to pay more for them. Our conversations with several large and some small educational publishers were all highly fruitful and follow-up appointments are planned for April and May. They were mostly impressed by our ability to automate the creation of learning materials and personalize learning by embedding those materials in any relevant text. A core competence at L-Pub is the ability to harness natural language processing (NLP) for educational purposes. Our original focus on using NLP for learning German as a foreign language is now paying off, as we have effectively transformed the entire German language into a set of data. That means our technology can turn nearly any text written in German into a learning tool with little to no effort. The educational publishers we spoke with immediately understood the advantages – and also the scalability to any topic, ranging from math and engineering to geography and other foreign languages. While our approach is text-based, the databases we link to can contain images, formulae, audio and even animation. 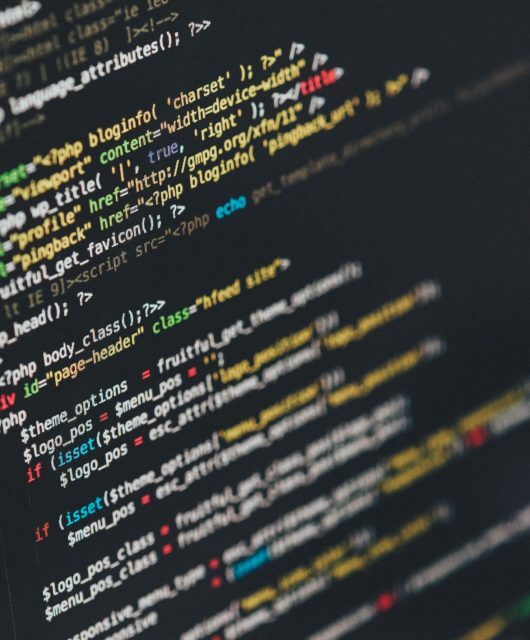 Once the text is annotated by our software, the publisher can effectively connect any database they like with it, using the standard L-Pub API. Even publishers not in the education sector were intrigued by our offer. 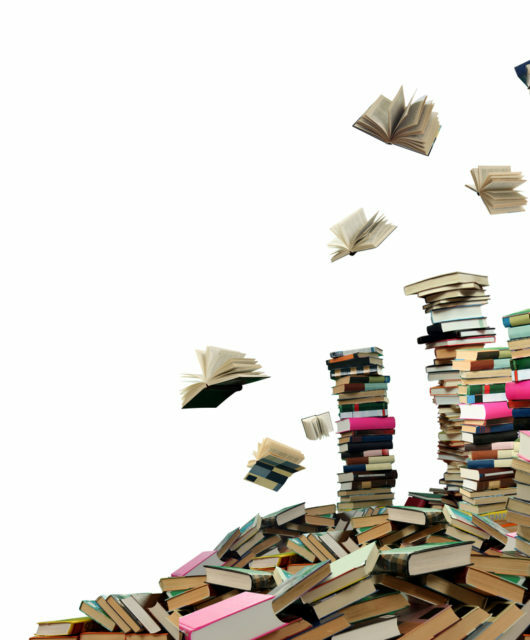 Current e-books do not offer publishers the ability to curate the extra level of information in their products. 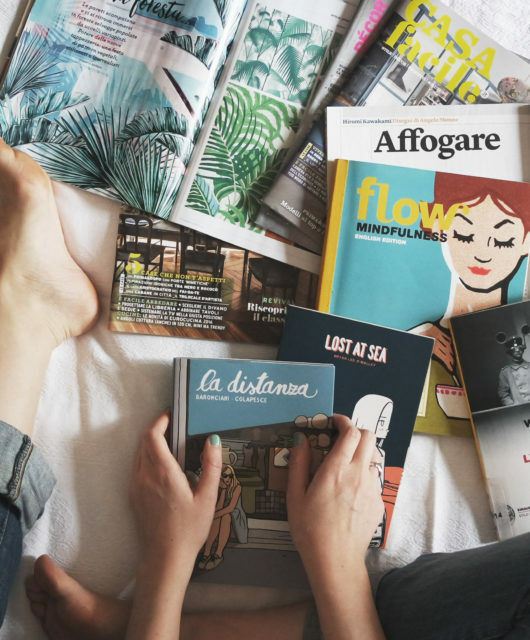 So anytime a reader doesn’t understand something in a text, they turn to the internet or a reference book, taking them out of the reading flow and away from the publisher’s product. Not only specialist publishers with lots of technical terms saw the added value, general interest publishers also understood the importance of keeping their readers on the page, e.g. whether they want to look up information on characters, translator notes or the meaning of fantasy words. 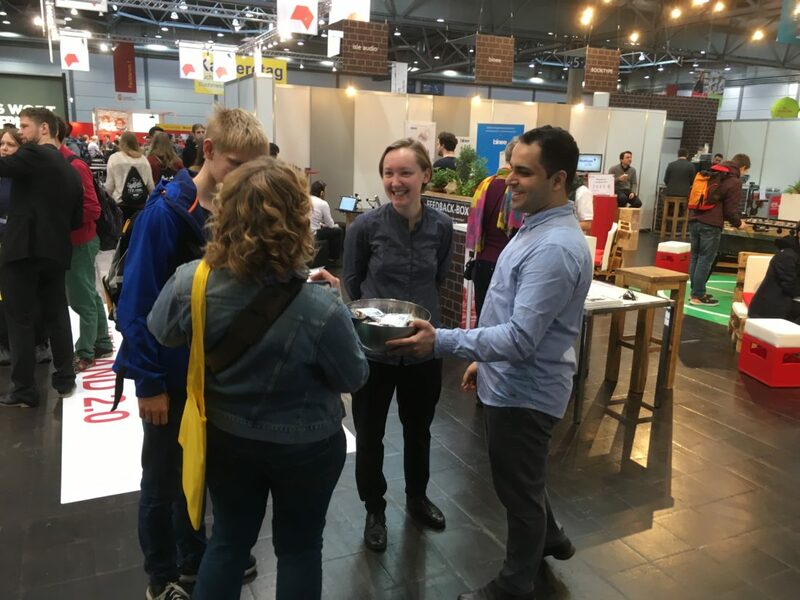 We also showed several general interest publishers our prototype for learning German with an L-Book and explained that they could reach up to 20 million additional readers, simply by offering their texts as an L-Books for foreign language acquisition. Most publishers we spoke to agreed to provide us with some short stories to get started with. 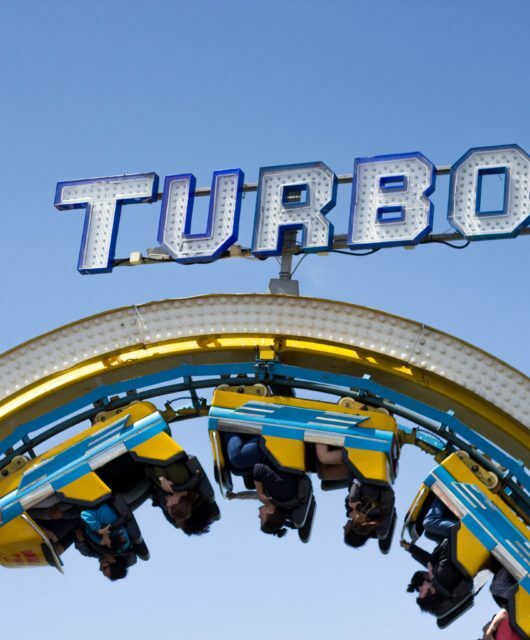 We look forward to showing them how easy and profitable it can be to reach new audiences with our tools. 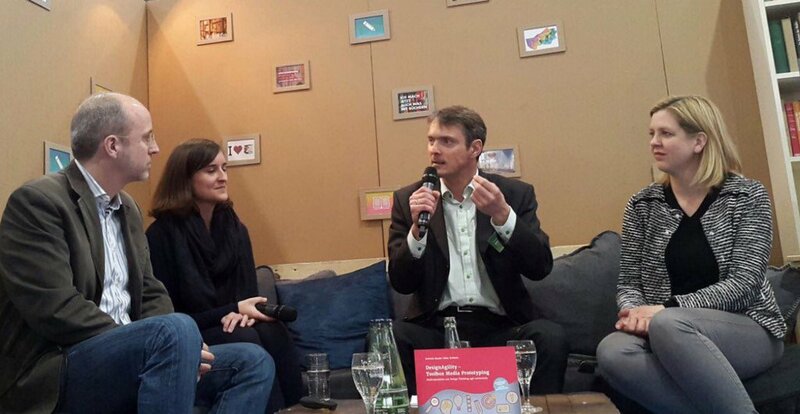 David P. Steel and Leonore Kleinkauf from L-Pub were invited to participate in a podium talk with Dr. Okke Schlüter and Stefanie Quade, authors of DesignAgility, a recently published book on innovation methodology. 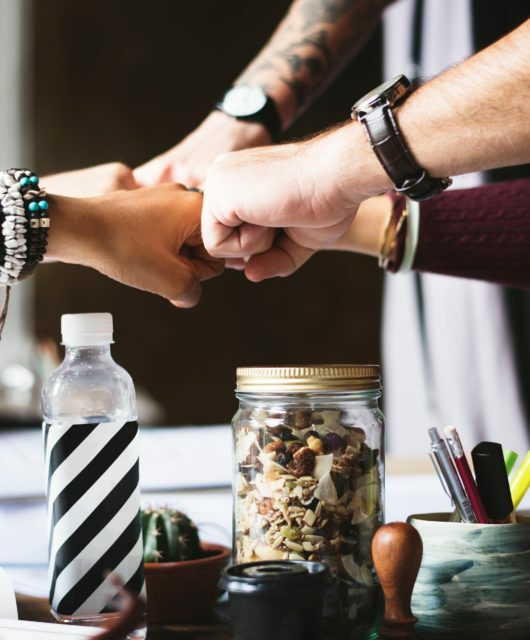 As a professor in media publishing at the Hochschule der Medien in Stuttgart, Dr. Okke Schlüter was curious to know how L-Pub applies Design Thinking and other agile methods in our day-to-day work. The discussion was lively and, appropriate to the subject, took some unexpected curves as we explored the whole spectrum of creativity, from those priceless inspirations you have under the shower to the implementation of carefully planned traction models to test a product or marketing strategy. We concluded that all approaches are valid but none on their own is sufficient: inspiration without structure is just as inefficient and self-referential as pure methodology without creativity. Are readers ready for L-Books? While we were in Leipzig, we wanted to take advantage of the mini-booth to talk to as many people as possible about L-Books. To attract people to the booth, we handed out branded packages of organic trail mix. Fair visitors loved the alternative to the usual sweets or ball-point pens and many of them then agreed to have a look at what we had to offer. To start with, we let visitors play with our prototype of Rotkäppchen for learning German. Most visitors were also learning a foreign language and immediately loved the concept. But even those who weren’t saw it as a real reason to read digital, especially when we showed them mockups of other use cases, such as learning technical terms or accessing information about a book’s characters. Special thanks to Olga Khorkova (a recent graduate in computer linguistics) and Mohammad Mbydeen (a recent MBA graduate) who were in charge of the booth when we were speaking to publishers. 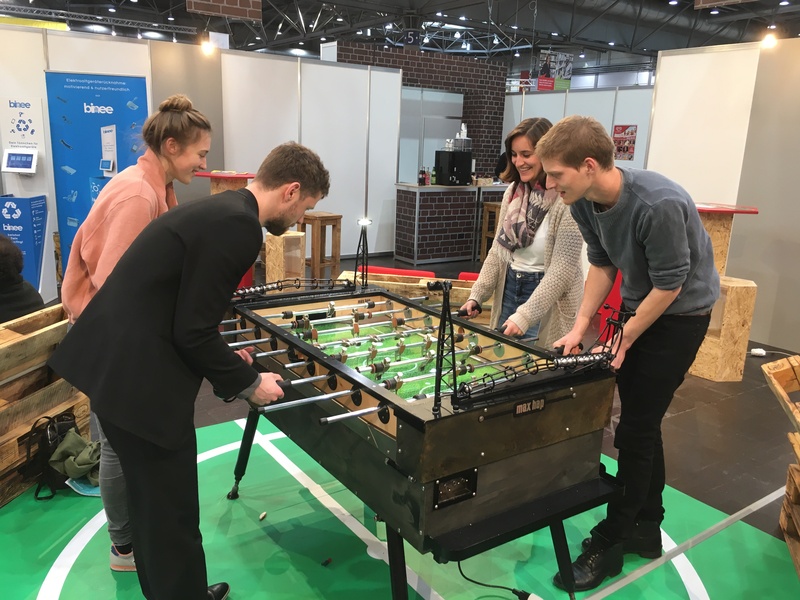 As both of them have learned German as a foreign language, they were particularly passionate about our prototype and immediately understood how to present it to passers-by. They were also largely responsible for conducting the surveys. We could not have pulled off the fair without them and are thrilled they were able to make themselves available at rather short notice before the fair. 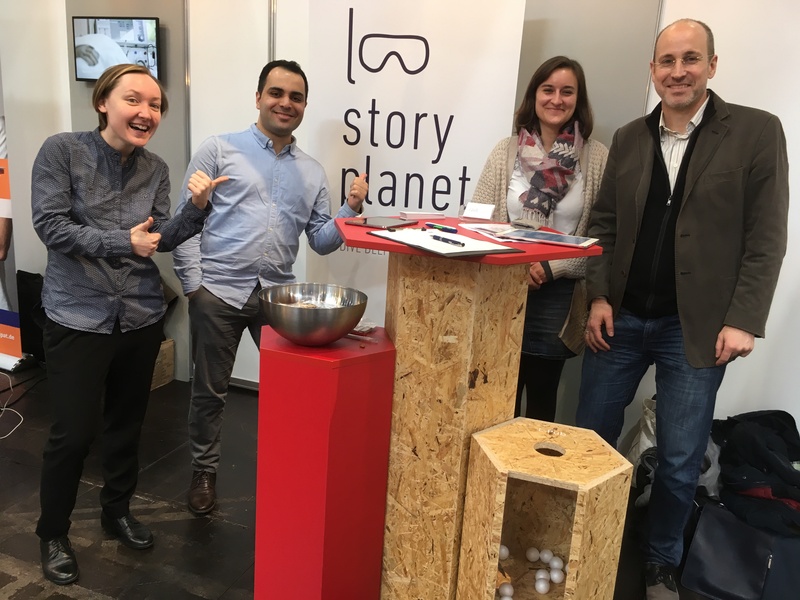 Special thanks also to the organizers and the jury of Neuland 2.0 who selected L-Pub as one of the few publishing service providers invited to participate in the “Startup Village”. 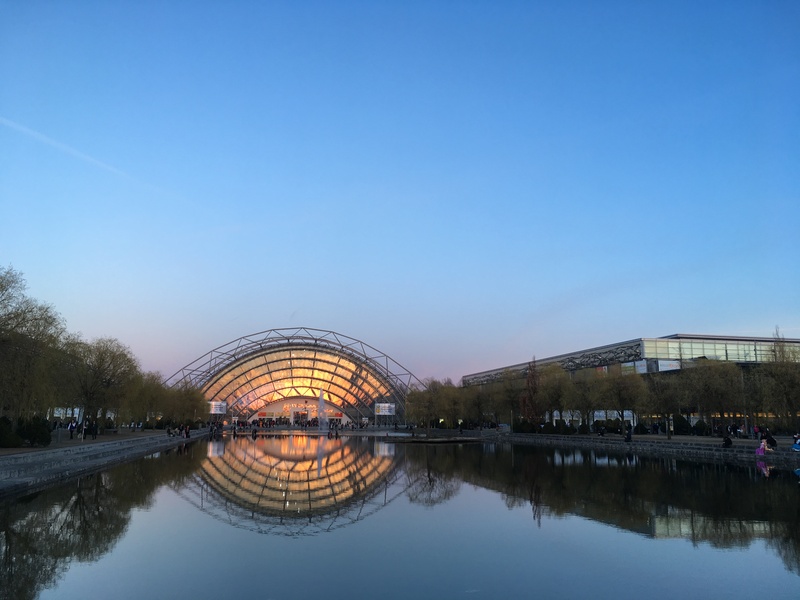 It was a privilege to be there and now we know for sure, Leipzig is lucky place for L-Pub. Contact L-Pub for more information about L-Books.